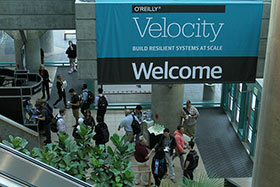 The Velocity conference is back for a seventh year and registration is now open! This year we'll feature the in-depth web performance and optimization sessions that you've come to expect, but slightly reframed to give you a better perspective on how far-reaching they have become. We've come to realize that it’s not just about faster web pages, technical instrumentation, or automation. It's become clear that the discussions we're having at Velocity are profoundly shaping how businesses and organizations operate. What does this new Velocity conference encompass? Come join us at the Velocity conference and be a part of the discussion. We have a limited number of early discount tickets available. Review the packages and register now to take advantage of the best price.